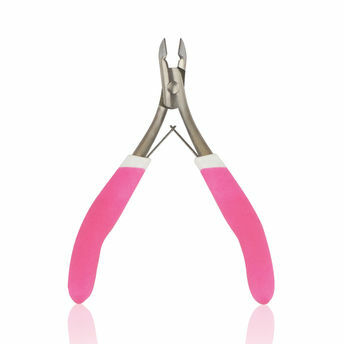 Kaiv Cuticle Nipper is an accessory that is used to trim or cut back the cuticles on fingernails or toenails. The aesthetic design host a rubberized handle that fit's in the palm of your hand comfortably. It's sharp cutting points are ideal to trim dry/dead skin of the cuticle.